Alaric Trader is a property of Alaric Securities OOD and every person, natural or legal, which/who has access to it agrees to its terms and conditions. The whole content of the website is subject to intellectual property laws and all relevant laws. No one has the right to copy or distribute the public or hidden sections of this website without explicit prior written consent by Alaric Securities OOD. Loading and printing sections of this website is allowed under the condition that no content is altered and the copyright remarks are preserved. Alaric Securities OOD does not guarantee uninterrupted access to this website. Alaric Securities OOD strives to keep information current and to use only sources considered credible, yet there is no guarantee of either. Alaric Securities OOD does not hold any responsibility for any damage or negative consequences which may result from using this website. We always do our best to provide accurate, timely and useful tips, but we cannot guarantee that they are such. The company reserves the right to alter the content of this website without prior notice. The information provided should not be considered legal or investment advice. Trading and investing in financial markets is risky and these activities may be associated with incurring additional costs, outside of the ones Alaric Securities OOD has listed. An authorized account login and access to the website, which are effective at all times while using this site, illustrate the client’s consent to the Brokerage Account Agreement. No unauthorized access is allowed.  Alaric Trader is a trademark of Alaric Securities OOD – a Bulgarian broker/dealer, regulated by the Bulgarian Financial Supervision Commission. Alaric Trader is not a tax advisor and all materials provided are solely for the purpose of information. Please consult your tax and legal advisors for issues regarding your individual financial situation. Any and all specific securities or types of securities that are used as examples are only for the purpose of illustration. None of the materials on this website, as well as the AlaricTrader Twitter and Facebook pages, should be considered as guidance or solicitation to invest in, or liquidate, any particular security or type of security. Before investing, investors should carefully consider the Investment Policy Statement, including, but not limited to risks, objectives, charges, and expenses of a mutual fund or any other investment. Trading on margin may bring major risks, including the possibility of losing more than the amount deposited or the need to deposit additional collateral in a volatile market. Margin trading also involves interest charges. Options trading involves risk and may not be suitable for all investors’ accounts. The volume, volatility, and system availability of the market may impact investors’ access to their accounts and in some instances the execution of the trades. Testimonials may not be representative of the experience of other clients and provide no guarantee of future performance or success.